It started years ago, back when I first started teaching. I don’t know why I first did it – it was just what everyone else was doing. They didn’t seem to know why either! Apparently it started in the 1700s (Aoki) with clerks and accountants correcting ledgers using red ink in their quills, and then spread to teachers, back when teachers “corrected” too, rather than providing formative feedback, or feed-forward, like we do nowadays. Some said that they did it so that the teacher’s comments were easy to see on a page of student’s writing, with students writing in blue or black. At the time they can’t have known that it might be doing any harm. I’ve tried to stop before, for several reasons. “…a sprinkling of ticks and lots of crosses, and maybe “See me!” scrawled at the bottom of the page. .. 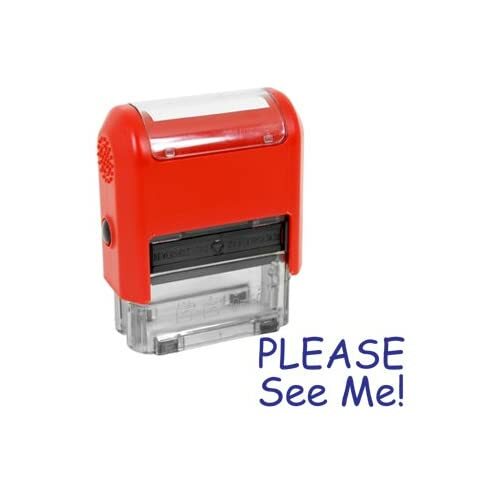 Some people think that seeing all that red ink can harm a student’s self-esteem, especially if the marking is done in the old fashioned way, with a sprinkling of ticks and lots of crosses, and maybe “See me!” scrawled at the bottom of the page. That’s what my books used to look like when I was at school, and sometimes it takes a real effort to do things differently to the way they used to be done to you. Maybe when teachers started using red pens, it didn’t have the all of the negative connotations that it has now; but red has always been associated with stress, danger and blood. Maybe power too – why should the teacher’s writing be the first thing that a student notices when they open their book? In some Asian cultures writing someone’s name in red pen is seen as bad luck, with Korean names traditionally only written in red when someone is dead (Neff). While some of the Korean students I have taught have laughed at these “old-fashioned” beliefs, others, and their parents, have been shocked that any teacher was ever allowed to use a red pen. Some recent research suggests that teachers who do not use red pen are perceived to have a better rapport with their students (Dukes and Albanesi), while teachers who do use red pen mark more errors and award lower grades (Rutchick et al). If it’s negatively affecting the students, their work (Elliot and Maier) and the way their work is graded, then it must be time to try something new. Some people laugh at all this, saying that it’s “politically correct, trendy teaching gone mad”. They think students “need upsetting to teach them to pull their socks up” (Daily Telegraph). When I marked essays and exam papers for the IB, in the ‘old days’ of marking on paper not screens, I had to mark in red, with Senior Examiners marking in green, so I’d buy a big pile of red pens every year, but still experiment with other colours at other times in the school year. Now that’s all gone online, I faced my first ‘Back-To-School’ stationary shop without a leftover pile of marking pens and I decided to make the break and buy a bundle of purple pens, and a matching purple ink pad for my new Two Stars and Two Targets stamp. I was proud to be “politically correct”, reclaiming the phrase from the pejorative right, annoying the Daily Mail (Fernandez) – one of the main reasons I took my first job at “Britain’s most controversial comprehensive” – and “trendy” – it’s not very often I get called that these days. Richard L. Dukes and Heather Albanesi (In press) Seeing red: Quality of an essay, color of the grading pen, and student reactions to the grading process. The Social Science Journal. Daily Telegraph (2008) Marking in red ink banned in case it upsets schoolchildren. 26th December. Roo began teaching in London and has spent the last fourteen years teaching Geography, theory of knowledge and Maths, and as Head of Year, Deputy Head and now Head of High School, at three different international schools in Bangkok and Ho Chi Minh City. He is new to Twitter, but loving the global pedagogical conversations. In primary red has been out for a long time, we mark in green and pink, Green for growth e.g errors and pink for perfect! I think if the red ink is harming their self esteem, then there is something else wrong, much more severe than red ink. The child has not been taught, or has failed to learn how to accept criticism, which has proven crippling to a generation of participation trophy winners. Perhaps worse, the student does not feel that the teacher has their best interest in mind. Or perhaps, the teacher is not giving constructive criticism and the students hurt feelings are the result of brutish, or hamfisted developmental techniques that aare far more complex than the color of the ink flowing from a pen.